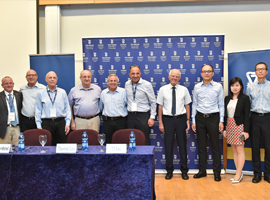 ATS lay leaders and supporters, and Technion faculty and students gathered at the Board of Governors Meeting (June 9-14) to conduct organizational business, recognize achievements and reconnect. The Board paid tribute to The Henry and Marilyn Taub Foundation, Ronald S. and Jo Carole Lauder and Dr. Andrew and Aviva Goldenberg, among others, for 50 years of visionary support. They also adopted as this year’s theme—“Technion of Things”—a play on the inter-networking of everyday objects, known as the Internet of Things. 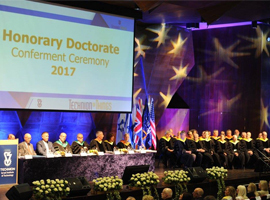 Israeli Minister of Education Naftali Bennett and Mayor of Haifa Yona Yahav attended the Lauder Dormitory dedication, while MIT President Professor Rafael Reif spoke at the Honorary Doctorate Conferment Ceremony. Watch for our special BOG e-newsletter to learn more. The Technion is contributing to Israel and the global good in unprecedented ways. Help us ensure its continued advancement as a world-class institution of higher education. The commercialization of Technion research and know-how—already on the rise—is about to get another boost. The Technion Research & Development Foundation Ltd. (TRDF) just joined forces with UG Capital Management Ltd. (UGC) to establish a venture capital fund of $200 million to support investments in science and technology companies started by Technion researchers or alumni. The initiative was announced during the Board of Governors meeting. “The Technion has been increasing its commercialization activities in recent years, and we have already noted many successes in this field, including more than doubling the number of startup companies set up at the Technion through the new Technion DRIVE Accelerator. However, we must not become complacent,” said Professor Wayne D. Kaplan, Executive Vice President for Research and Director General of the TRDF. The joint management team will have offices in Israel and Hong Kong. Assistant Professor Asya Rolls won her second award in as many months for her outstanding work in brain research. On June 12, Prof. Rolls was presented with the Adelis Foundation Brain Research Award at a special ceremony during the Board of Governors. In May, she was one of six Israeli researchers to be named a Howard Hughes Medical Institute-Wellcome International Scholar. Both awards come with significant research grants. Prof. Rolls focuses her research on how positive emotions help the immune system fight pathologies. She was chosen based on her past achievements as well as her submission to the Adelis Foundation, in which she proposed to test how the brain’s “reward system”—a region triggered in anticipation of a positive experience—affects the immune system in fighting tumors. Prof. Rolls joined the Technion Rappaport Faculty of Medicine in 2012 as part of a top priority push to recruit talented, new faculty members. 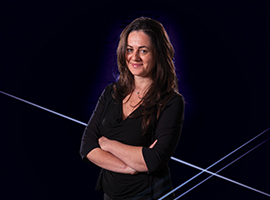 She will be one of our featured speakers on the upcoming Technion World Tour! Some five million people in the U.S. suffer from a hernia—a protrusion of an organ or tissue through a weak spot in the abdomen or groin. 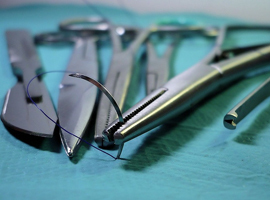 Traditional open hernia-repair surgery involves stitching a mesh patch over the weak tissue. Today, many are repaired laparoscopically. Still, surgeons often need to use screw-like tacks to secure the mesh, which is not ideal. Technion alumni Ofek and Lena Levin, co-founders of Via Surgical in Israel, designed the FasTouch cartridge system, which affixes the mesh less invasively to reduce scar tissue and provide an easier, quicker recovery. Combining his expertise in algorithms with hers in early childhood development, Technion Professor Eli Ben-Sasson and his wife, Ayelet, a professor at the University of Haifa, have teamed up to launch a crowd-based platform to understand and aid early parenting. “The Smart Baby Diary” is a free app and website that enables parents to compare their children’s milestones about motor, communication and social skills to others’ experience, using a process called “CROwd INtelligence Curation” (CROINC). “The system gives parents information about future development milestones, so that they can help their child advance toward these goals and understand their baby’s behavior from a developmental standpoint,” says Prof. Ben-Sasson, who hosts the research project at the Technion. Early diagnosis and treatment of developmental problems can lead to better outcomes. Fans of National Geographic’s current TV series “Genius” know all too well how Albert Einstein obsessed over unraveling the secrets of what eventually became his theory of relativity. 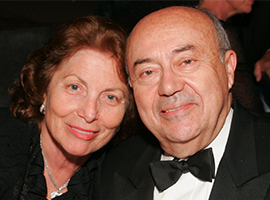 Andrew Viterbi was once similarly fixated on finding a way to explain complex convolutional codes to his students at the University of California, Los Angeles. Prof. Viterbi’s roots at the Technion date to 1967, when he gave a series of lectures while on sabbatical from UCLA. Since then, he has become a Technion Guardian, a designation reserved for those who support the university at the highest level. In 2015, he provided a transformational gift to the Technion Faculty of Electrical Engineering, which is now named after him and his late wife, Erna. Read more about his dedication to the Technion on page 4 of Technion USA. 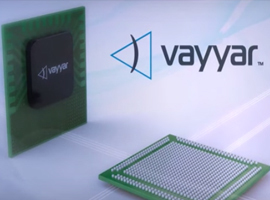 Vayyar, an Israeli company co-founded by Technion alumnus Naftali Chayat, has developed sensors that can detect and visually display–in three dimensions–what lies on the other side of any surface. From detecting breast cancer cells through the skin to seeing through walls to find people on search and rescue missions, this technology can change the way we interact with the world, and save lives. In contrast to MRI, x-ray and ultrasound machines, which are expensive and confined to specific screening locations, Vayyar’s sensors are small and inexpensive; the breast screening device under development is portable and could be used in general practitioners’ offices. Excitement is building for the opening in September of Cornell Tech, home to the Joan & Irwin Jacobs Technion-Cornell Institute. 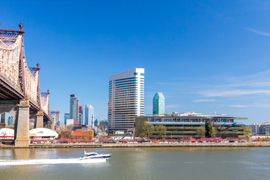 Sign up now for the Technion World Tour (October 25-28, 2017) to be among the first people to visit the new campus on Roosevelt Island—even before its impact on New York City is realized. Joining us on the tour gives you access to the booming tech scene in New York City. In addition to visiting some startups at “The Bridge”—where academia and industry mix—you will hear from speakers including: Technion Professors Hossam Haick, Asya Rolls and Alon Wolf; alumni Ziv Lautman (inventor of BreezoMeter) and Dr. Amit Goffer (inventor ReWalk and UPnRIDE) and influencers such as Dean Kamen (inventor of the Segway) and entrepreneur, author and investor Scott Belsky. The second of three trips will visit New York City, home of the Jacobs Technion-Cornell Institute, in 2017. The third trip will visit China in 2018.